Dark chocolate not only tastes great — studies also show that it can improve health and lower the risk of heart disease. Here are five recipes made with this powerful source of antioxidants. 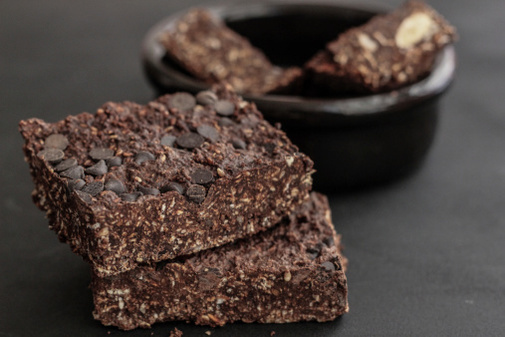 This is a new, healthier twist on an old favorite. The added flax seeds provide a great source of healthy fat, antioxidants, and fiber (soluble and insoluble). Research has shown that consumption of flax seeds may lower the risk of heart disease, diabetes, stroke, lung disease, and cancer (specifically prostate, breast, and colon). Flax seeds can also lower your blood cholesterol. 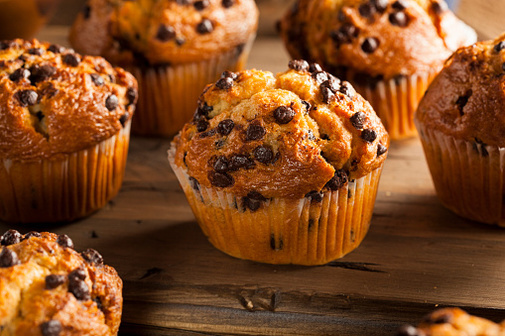 These muffins are also vegan-friendly! Preheat oven to 350 degrees. Line 16 muffin cups with paper liners. Whisk flour, bran, rolled oats, flax seeds, baking powder, baking soda, cinnamon, salt, ginger, allspice, and nutmeg together in a bowl. Mix bananas and coconut oil together in a separate large bowl; stir dry ingredients into banana mixture. Fold in walnuts, dark chocolate chips, and dried fruit into batter. Spoon batter into prepared muffin cups, filling them about 2/3 full. Bake muffins in the preheated oven until lightly golden brown and a knife inserted into the center of a muffin comes out clean (about 30 minutes). 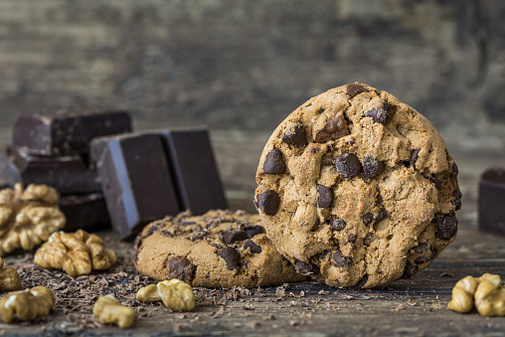 Love the taste of chocolate and peanut butter? 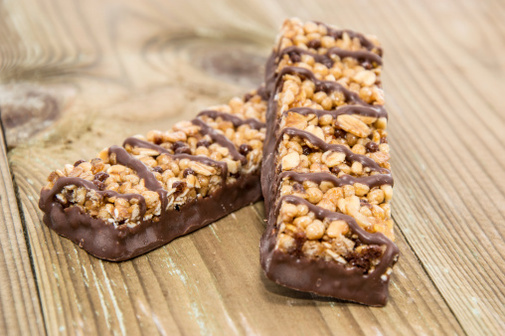 These snack bars are a sweet treat with added protein from Greek yogurt and protein powder. Adding sunflower seeds to this recipe gives you a boost of heart-healthy omega-3 fatty acids and fiber. Preheat oven to 350 degrees F. Spray a 13x9-inch baking dish with non-stick cooking spray. Mix oats, sunflower seeds, coconut, brown sugar, sea salt, and cinnamon together in a large bowl. Stir yogurt, coconut oil, peanut butter, vanilla, and maple syrup, together in a separate bowl until smooth. Add to oats mixture and stir to coat. Mix protein powder and chocolate into the mixture and spread into the baking dish. Bake in the oven until browned (about 15 minutes). For crispier bars, cut into bars after baking, put on a cookie sheet, and bake for an additional 15 minutes. Your kids will never know that these cookies are good for them! The cocoa nibs and walnuts are packed with antioxidants, and the chia and flax seeds provide additional fiber, protein, and omega-3 fatty acids. Preheat oven to 350 degrees F. Line a baking sheet with parchment paper. Beat coconut sugar, brown sugar, coconut sugar, butter, and coconut oil with an electric mixer in a large bowl until smooth. Beat eggs into creamed butter mixture one at a time. Add vanilla extract and beat until smooth. Stir hot water and baking soda together in a small bowl until baking soda is dissolved. Stir into butter mixture. Add cream of tartar and mix well. Mix flour into butter mixture until dough is smooth. Then fold in chia seeds, flax seeds, walnuts, cocoa nibs, chocolate chips, and salt. Drop dough by rounded tablespoons onto prepared baking sheet. Bake until cookies are lightly browned around the edges (about 12 minutes). Transfer cookies to a wire rack to cool. Flaxseed, chia seeds, and hemp seeds are added to this traditional granola recipe to add a boost of heart-healthy omega-3 fatty acids and fiber. All of these “super seeds” have been shown to have health-protective benefits. Preheat oven to 250 degrees F. Mix oats, coconut, almonds, hemp seed hearts, flax seeds, and chia seeds together in a bowl. Mix orange juice, vanilla, and honey together in a separate large bowl. Add oat mixture to honey mixture and stir well until evenly coated. Spread granola onto ungreased baking sheet. Bake until golden brown (about 50 minutes). 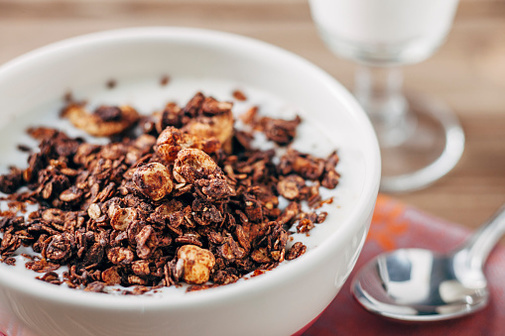 Mix chocolate chips into granola. Cool to room temperature. In addition to the heart-healthy nuts and seeds in this recipe, these bars also contain quinoa, a protein rich grain that’s high in fiber. Preheat oven to 350 degrees F. Spread quinoa, oats, almonds, and chia seeds on a baking sheet. Toast in the oven, stirring halfway through, until golden brown (about 15 minutes). Mix peanut butter, coconut oil, and honey together in a bowl. Add oat mixture, ground flax seed, and sea salt until well combined. Press granola mixture into a 12x18-inch baking pan. Bake in the oven until the bars are set (about five minutes). Remove from the oven and sprinkle with chocolate chips. Bake until chocolate is just melted (about five minutes). Spread melted chocolate evenly over bars with a rubber spatula. Place pan in the freezer until chocolate is firm (about 20 minutes). Cut into bars.